Stroke is ranked as the fifth leading cause of death in the United States. Alzheimer’s disease is ranked as the sixth leading cause of death in the United States. Five million Americans are currently diagnosed with Alzheimer’s disease. The American Alzheimer’s Association projects that the number will triple to 16 million by the year 2050. Parkinson’s Disease affects 1 million Americans, with at least 60,000 new cases reported annually. Florida, with its burgeoning elderly population, is experiencing unprecedented growth in the incidence of neurodegenerative diseases like Alzheimer’s, and movement disorders like Parkinson’s. 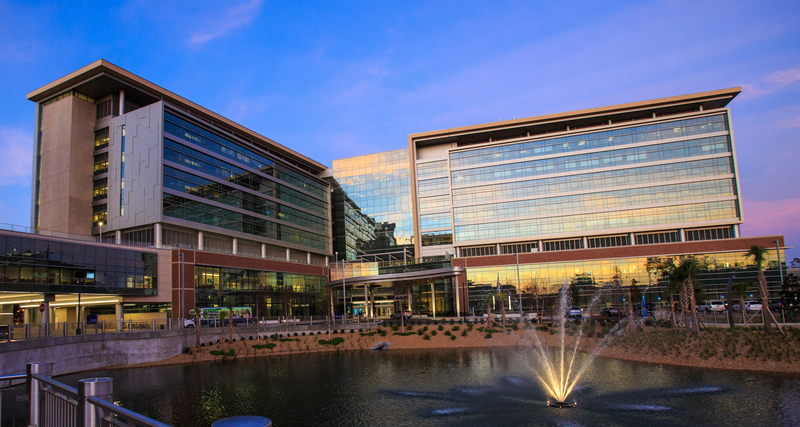 The UF Health Neuromedicine Hospital is an exceptional facility that matches the world-class care already provided to UF Health neuromedicine patients. It has 96 dedicated neuromedicine patient rooms, including a 48-bed neurointensive care unit, one of the largest in the country. We will be offering new interdisciplinary programs in traumatic brain injury, ALS and multiple sclerosis. Most importantly, the full spectrum of neuromedicine services, from outpatient visits and diagnostic tests to inpatient stays, will be available in one building. Learn more about neuromedicine services offered at UF Health.